PS Audio has been steadily developing as a high-end manufacturer since 1974, despite the trading of leadership on various occasions. Paul McGowan, the “P,” and Stan Warren, the “S,” were the founding partners. Stan left in the early 80s to found Superfon. Paul would leave in the 90s to join Arnie Nudel, having a hand in the very successful Infinity Systems and Genesis loudspeakers. After PS Audio traded hands a couple times, Paul left Infinity to buy back the PS Audio brand. 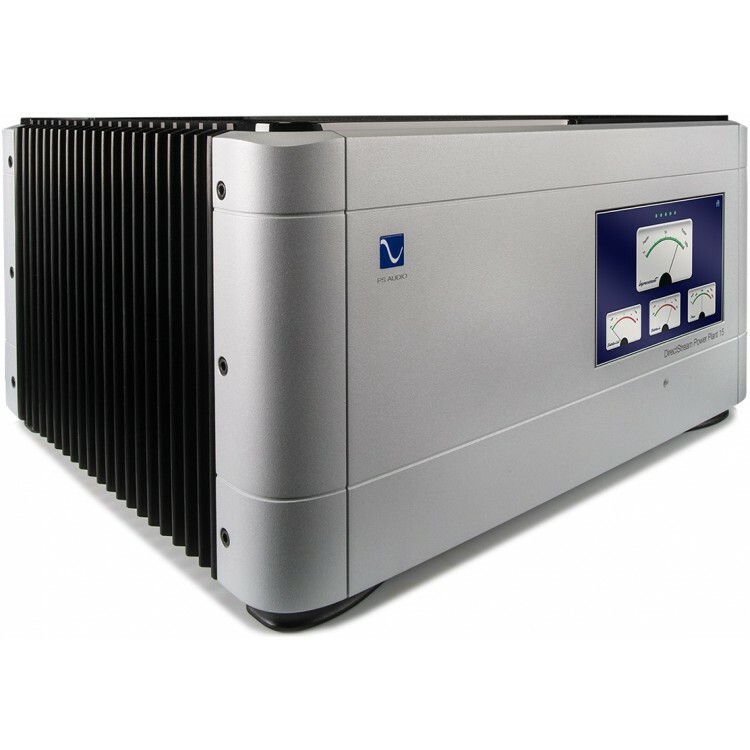 Clean power has been the driving force behind PS Audio, leading to a full range of components from critically acclaimed digital sources, to well respected and reviewed amplifiers and preamplifiers. I reviewed the DirectSteam digital player and DirectStream DAC, and can attest, Paul and his team know their way around designing great gear. Living in downtown NYC, the juice that flows from my outlets varies literally from hour to hour. Voltage spikes and sags have been measured with deviations that vary from moderate to, “That can’t be right.” Added to the schizophrenic voltage readings, there is all the contamination and noise emanating from all sorts of evil-doing sources. I’ve largely lived with this issue in a state of ignorant bliss. When I saw the press release of the new P20, I thought it could provide a solution taken to its ultimate logical conclusion—a total reconstruction of my flailing incoming AC. The P20, from the perspective of industrial engineering and design, is beautiful. The level of build quality and PS Audio aesthetic are woven together, resulting in an awe-inspiring visage. Weighing 100 lbs, and equipped with a couple of hefty handles on the face plate (the P15 does not have the handles sadly) moving the P20, if not attempted with proper power lifting form, will result in steep chiropractor bills. A large display on the faceplate allows for easy access to the several menus to be viewed clearly and with ease. 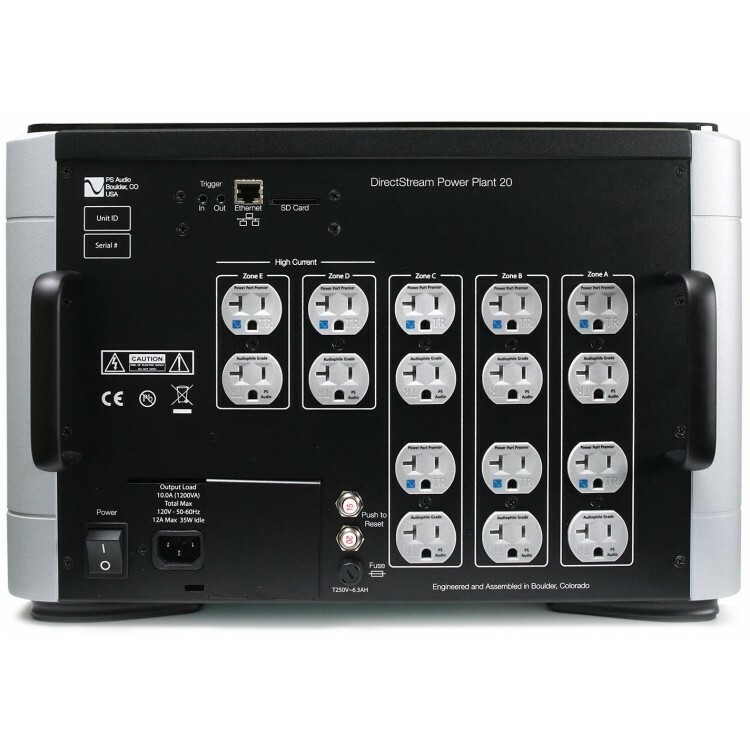 The 16 outlets on the P20, with both 20 amp outlets for amps, and 15 amp outlets for less power hungry sources. “The P20 is all new in design and construction. Instead of wires to route power, there are aerospace-grade pure-copper, 1/4″ thick gold-plated buss bars handling all current paths. I needed two P20s due to the fact that I do not have 20 amp lines. My reference Pass Labs XA200.5 class A mono amplifiers both plugged into one P20 proved too much of a power draw, and sent the single P20 into protection/shutdown mode. A 20 amp line would have been able to handle the demands. A second P20 was installed, one for each amp, along with the P15 to handle all the other components’ power needs. The Touch screen allows for simple scrolling through the multiple screens representing a variety of system parameters. Power chords were all MIT, save the Verasstar power chords connecting the power supplies for the Lansche 4.1 semi-active speakers. The effect of all this effort to deliver clean AC power was not subtle. Every aspect of the sound is touched, elevated, and refined. Everything we seek in great sound, dimension, depth and space, color, dynamics, transparency, and detail are boosted in seeming equal parts. Without the P series in the chain, the sound I have lived with, while enjoyable, now can be characterized as “you don’t know what you are missing until you know what you’ve been missing.” Like moving from an adequate camera to a professional caliber camera in the hands of a great photographer, the sound-picture really pops, where before laid a bit flat in retrospect. I’m wracking my brain trying to pick one aspect of the sound that benefited most, but since AC power is the life blood of all aspects of reproduced sound, it makes sense as to why it is so difficult to pick just one, or even two qualities that jump out. It really depended greatly on what ever recording I was listening to as to what the dominant strengths or characteristics of the recordings were. Some recordings such as Stanley Clark’s East Riverside Drive, with its pounding bass on “I’m home Africa,” a track played through every component I have ever reviewed, the low end gained definition and greater focus, becoming a more discrete part of the sound. Mid range heavy recordings, such as those by Johnny Hartman and John Coltrane, reveals subtle inflections and denser color of both Hartman’s honey toned baritone and Coltrane’s flying, lyrical alto runs. Space and dimension are bolstered by the quiet and greater contrast between, and around each bit of sound. There is a more clearly, yet delicately drawn line between the sound, and the space it manifests within. These contours become more varied, not just a hard-edged cutout like outline. This is the equivalent difference between a drawing done by a first year art student, and a work of art at the hand of a seasoned accomplished artist. Just look at a conte crayon drawing by Michelangelo and observe the quality of the outlines. By varying the pressure applied, forms turn back into space and return to the fore, constantly undulating. Shapes overlap, creating layers of depth and space rather than laying flat like those in a coloring book. This may sound subtle, but the difference between great art and the alsorans is separated by how well these subtleties are mastered. As goes art, so goes great audio reproduction. All the small incremental improvements add up to what is essentially art in the form of reproduced music. I recently hosted the release party for rising jazz piano star Tony Tixier’s achingly beautiful limited run double vinyl edition of Life Of Sensitive Creatures. We were treated to a live performance of his trio following the listening session on the VPI Avenger Reference, Ortofon MC Winfield Titanium cartridge, and Gryphon Sonnet phono stage. 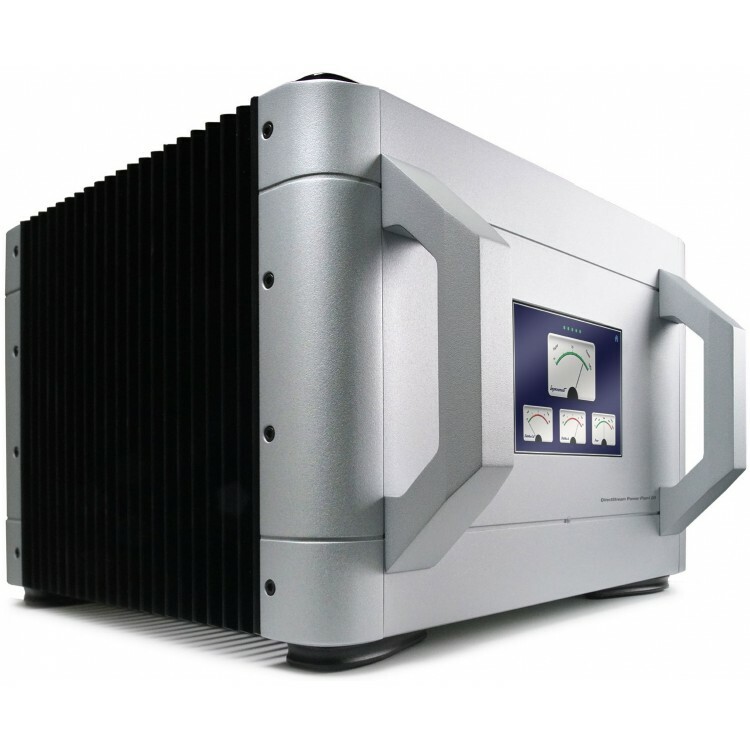 We were also graced with the Gryphon Antileon Evo stereo amplifier, thanks to Joseph Cali, and his the Gryphon showroom at Stereo Exchange in NYC. With the system including the PS Audio P20 and P15, I heard greater similarities between the reproduced sound and live version of the same songs. There is still a very wide chasm between any audio system and live instruments. On occasion, we get certain aspects right, but on the whole, audio gear comes up short. 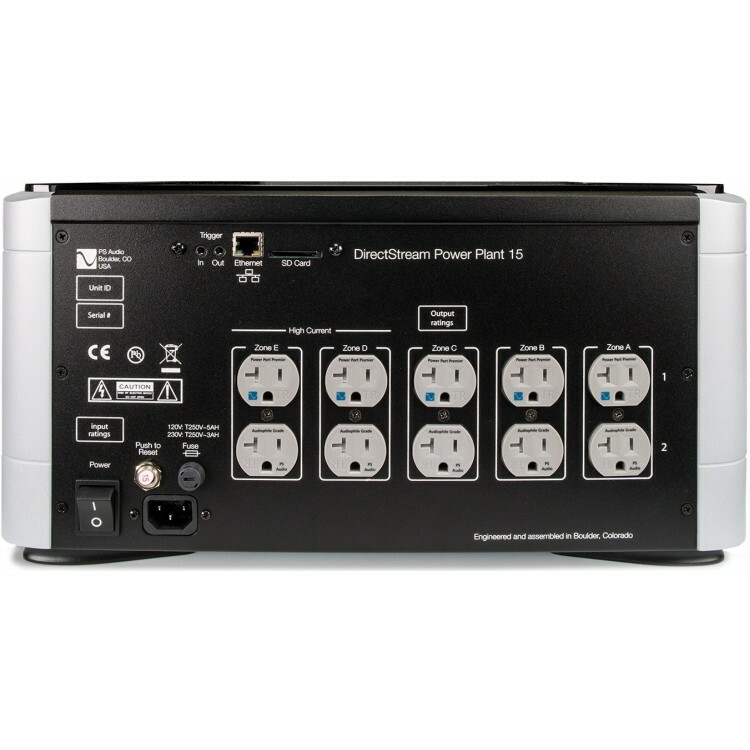 The P20 and P15 series products shoot a treble hook across the gulf, connecting live and reproduced sound in a way that cannot be achieved any other way if dirty power is a culprit, and dirty power is almost always a culprit. $9990 is a big ask for the P20. The P15 comes in at $7499, but If you are planning to build a great system, or have been living in denial as I have been, addressing the very element that brings these inanimate boxes to life, these products should be a priority. With 16 outlets, the P20 should be all you need to rebuild your power into the likeness of its ideal form. Your music will thank you.